How can I include a photo in a Forum post? How can I post a photo from Facebook? How Do I Post a Photo to the Club Web Site? How can I find all the photos I posted? How Do I get a Personal Photo Album? How Do I Move a photo to my Album? Is it OK to post non-Datsun 1200 pictures? How Do I Link a Photo into a Discussion Topic? Why does it show 'URL' instead of my picture? How can I add a photo to a PM or Comment? How To Get a Picture by My Name (avatar)? It Always Says My Piccy is "Too Big"
Why does it say "mimeException"? Can I edit a photo in the Photo Album? Why did my Photo Disappear? How Do I Delete a Photo Album Photo? 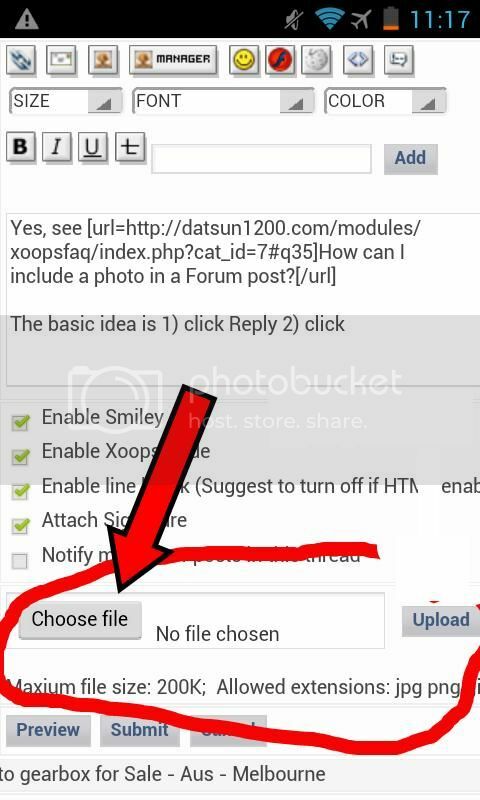 In a forum post, you can 1) Upload a photo or 2) Link to a photo that already exist on the Web. FIRST, outside of Datsun1200.com, resize your photo to 1024 x 768 pixels or smaller. iPHONE: Use the app "Resize Image (free)" or other similar free app to resize your photo. Any photo that ends up 195KB or smaller can be uploaded. Most 1024 x 768 pixels photos are small enough. When replying to a post, click the Reply button ( ) first. To upload a resized photo into the post, click the Browse/Choose File button. After choosing the photo, click Upload. After the page reloads, the filename will appear by the checkbox, then click Submit and your post with photo will be added to the forum. Don't forget to click Submit to finalize your post! 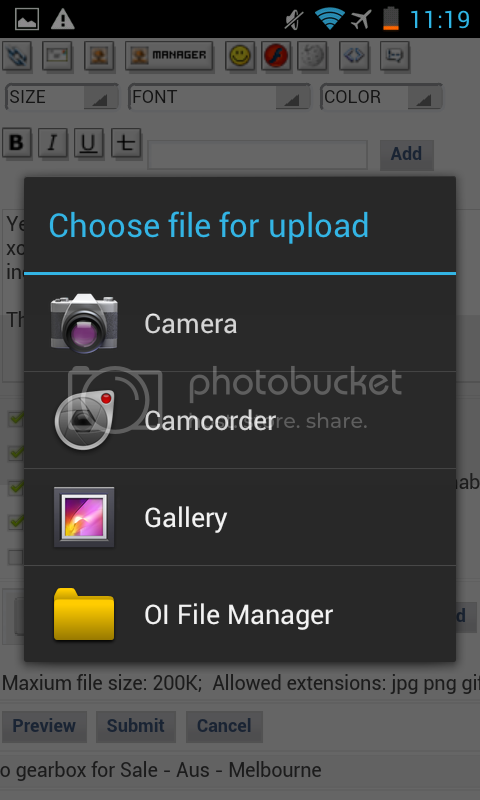 In a forum post, you can upload a photo from your Android device. It is recommend to upload a photo size of 1024 x 768 pixels or smaller. Use the Google Play app "Resize Me!" or other similar app. After the page refreshes, the filename will appear by the UPLOAD button. If it does not appear, it means it was rejected -- did you upload a 1024x768 or smaller photo? If there is a photo on Facebook, it can be linked in a Forum post or reply. Copy the URL (Locator) of the photo. View Facebook in the web browser (not using the Facebook App). 1. On the left side of this page, click "Photo Album"
2. When that page appears click "add a new one" which is a bit down the page. 1024-pixel wide or less (1 megapixel or less) is recommended. Pics up to 1,6 megapixel are allowed to be posted but it will be difficult (if not impossible) to get a small enough FILE size at 1.6 MP. Less than 200k in file size. Crop the photo or reduce the size (resize) if it's bigger than that. Most 1280x800 or 1024x768 or smaller pic should work but if it is still bigger than 200k, reduce the compression using your favorite photo editor. Upload the picture to the "Main", "General" or "Forum" part of the Photo Album, unless you see something more specifically appropriate (like the Engine section for an Engine photo). If you are signed in, you can find your Photo Album photos. On the left side of the page, in the View Account area, click View Account. Your photos will be listed. Click "Show All" to see the whole list. To see your photos by image thumbnails, first open any one of your Photo Album photos. Then below the photo, just to the right of your username, click the 'view more photos' icon ( ). See this discussion: Personal Photo Albums for members. NOTE: You do *not* need to get your own photo album in the Club before you can post. You can post to any of the general albums, right now! Once you have a personal album, you may be wondering: How can I move a photo from the General album to my own Album? Answer: You can move any photos you submitted. Go to your photo page and open a photo. 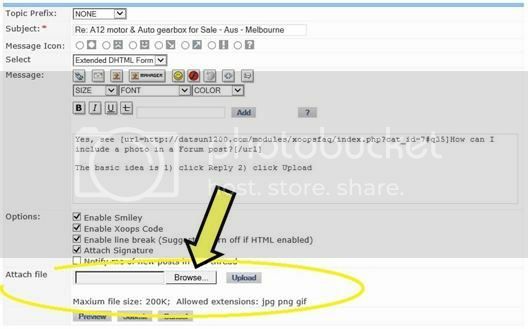 Click the Edit icon ( ), then change the Category field and click Submit. Then go back to the photo page to confirm it. Note that the jpg versus JPG problem is now fixed. UPDATE: As of March 2005, this is Now fixed. This no longer matters! 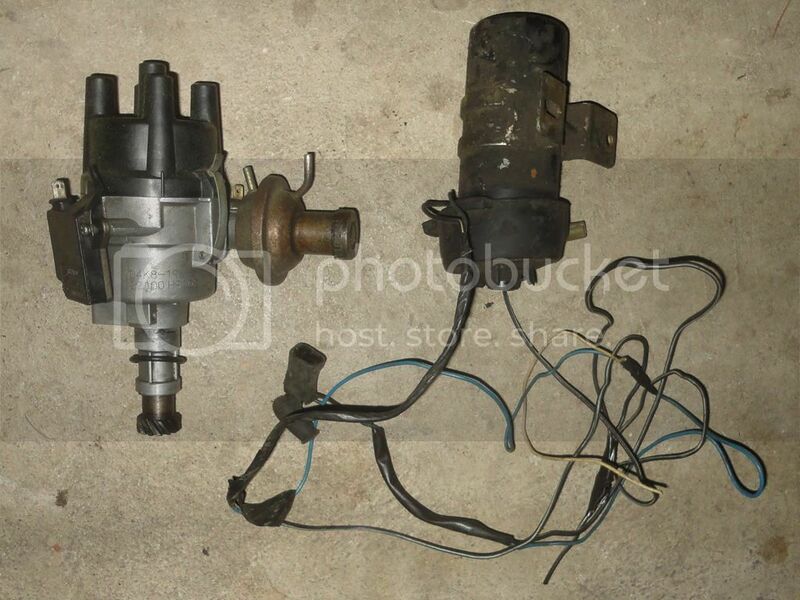 We like photos of B110s (Datsun 1200 1971-up), and parts for Datsun 1200s. But the related cars B10 (Datsun 1000) and B210 (120Y) and B310(120Y/Sunny/etc) are closely related and welcome. 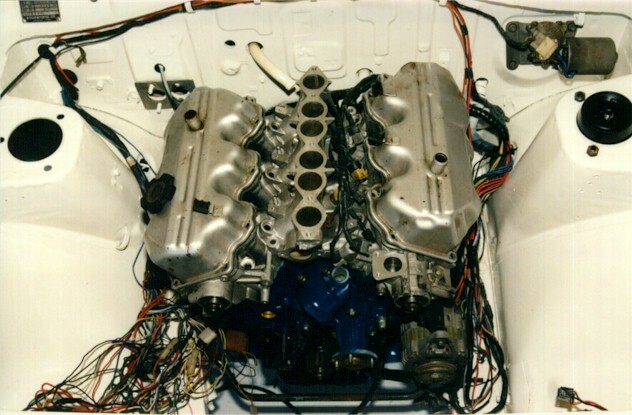 All A-series engines and engine-swap related pics are fine. Please, no pics Datsun 510s, 610s, 240Zs etc. Unless it's your car, in which case feel free to post a single pic in your album. But better to link these pics into your discussions than to post them into the club Photo Album. Obviously, no pics of GMs, Fords, etc! Thanks. You can link directly to a photo that exists on another web site -- there are many free photo hosting sites you can use for your personal or trivial pictures for example: http://flickr.com or http://photobucket.com. Please use this option for photos that aren't relevant to Datsun 1200s. NOTE: The potential downside in linking to a photo on another site is that the other site may eventually change, losing the picture. So once you post a photo to Photobucket, for example, don't rename the folder or delete it. The KEY is to get the photo's URL (Location). Then paste it into a Reply or new post. (this is a picture shown on the web page at http://www.datsuns.com/projects/eddiet.htm). 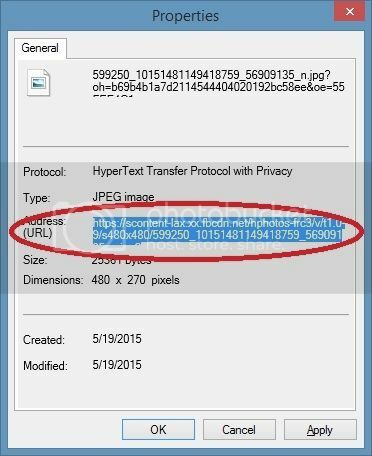 Remember, you want to link to the photo (.jpg file), not to the web page (.htm file). In Photobucket, click the Link icon, then copy the Direct Link. * Windows: right-click the photo, click "Properties", and you'll see the address (URL). You can highlight it (select it) by clicking in the middle of the URL, then press CTRL+A, then press CTRL+C on your keyboard (or just write it down). You won't see anything happen after you press CTRL+C. * Android Browser: In the Image box do a long-press, then tap Paste. When creating your post, you probably added the URL tags manually. Click Reply (or New Topic) and then click the Images button to have the correct 'img' tags added for you. URL tags are only for page links, never for photo links. Note that you can edit your posts to fix this. Click the Edit button. Where the site reply form doesn't have an Upload button -- as in Private Message or in comments -- you can still link to a photo manually. 1. Put your photo on a photo sharing site. Many of us use http://photobucket.com. CAUTION: Do not copy the page's URL, but that for the photo itself. If you are using PhotoBucket, Copy the "Direct Link"
3. In the reply form, Paste the Direct Link. That's it! You can also use this in Forum and Photo Album replies (even in Quick-Reply). Send a PM to yourself to see how it looks. First, you need to have the picture on your PC -- a picture that's 120-pixels wide. NOTE: the Avatar List only shows the current avatar. At this time it can't be used to change avatars. Instead, use the "Upload Avatar" section. 4. Once the file has been chosen, click "Submit"
So how do I downsize my pic so that I will be able to put it on this site? Do I have to buy a special program for my PC to downsize the pic or what? No special program is needed. Yes, It is recommend to upload a photo size of 1024 x 768 pixels or smaller. Because the maximum file size is 200,000 bytes per photo, which means most photos 1024 pixels wide will work. Technically, larger photos are allowed but most will exceed 200,000 bytes. If you are using Android, get the Resize Me! app or another free photo resizing app. iPhone or Mac, get the Image Resize app or other free resizing app. PhotoShop: If you've got PhotoShop, open the file then on the View menu resize image. In the first box, enter 120 (for an avatar) or 1024 (for a photo), then click OK.
My Favorite:Personally, I use a freeware program called "StgThumb" to resize photos -- it does a very high quality resize, whereas many commercial $$$ programs do not. I use it to resize my 2 megapixel photos into something small enough to actually fit on a web page. You can find it by using http://google.com to search for it. easy way to resize all those digital camera shots for easy posting to the internet. I use a completely free program called Irfanview - not shareware, not 1 off payment, FREE. 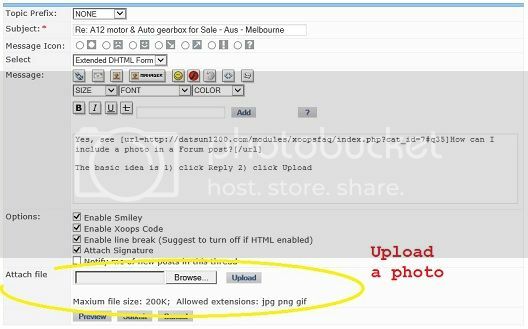 How to resize images for web posting! In Paint Shop Pro, it is set at 24% compression for a sharp photo (76% quality). Other graphics programs might use different language for how the compression is set. Photoshop uses a range of 1-10. So 7 would be about 30% compression. TIP: On your camera, set it for the best photo quality (Superfine, or 'best). You can always reduce the size later, but capturing at best quality lets you do some editing or cropping without lowering the quality too much. Low-quality photos will look horrible after being edited. If you are using Windows XP, in Windows Paint, use the Image menu "Stretch/Skew" to resize the picture. 3. On the Image menu, click "Stretch/Skew"
4. Under 'stretch' enter a small number. For a 1.3 megapixel photo (1280 across), try 9% and 9%. Always match the two percentage numbers. 5. Check the dimenions: On the Image menu, click Attributes. For a picture suitable for the club Photo Album, use a size from 1024 up to 1280 pixels wide. Mime exception has to do with the type of photo file it is. The site doesn't like Bitmap photos (.bmp). This site can take JPEG, GIF, PNG, JPE (JPEG for email) and possibly other image types. Can I just rename the file with '.jpg'? No. If you take, say a .tif file and rename it to a .jpg, it won't make any real difference. It's still a TIFF file, hence the "MIME exception" message you see (MIME is concerned with the file type -- what's in the file -- not necessarily the file extension). Instead, you need to use some kind of program to "convert" the file into a JPEG photo. Windows XP's Paint program can do this via the "Save As" menu option, as can more sophisticated photo editing programs. Do you see the file extension? 3. On the View tab, clear the box "hide file extensions". Click OK.
Now you'll see the complete file name. Please limit magazine scans to Datsun 1200-related information. For good readability, scan a page at 150 dpi with fine JPEG compression. 150 dpi will be very nice, but a bit too large to post to the Album here. To post here, scan 800 pixels wide for a magazine size page. Use about 75% JPEG compression (25% quality). It should be just under 100k file size, and readable but not perfect. If it still too big (more than 200,000 bytes), crop the edges of the magazine from the scanned image. To see all your photos, click the My Photos link (this link is also on the Photo Album Main Page). If you still don't see the edit icon, make sure you are logged in to the site. IMPORTANT: Don't be tempted to try to update the photo. There is a bug in the Photo Album. If you use the edit feature ( )... don't be tempted to try to change the photo. If you specify the same or new photo, it will delete the existing one. So be sure to leave the "Select photo" text box empty when editing an existing photo. NOTE: you cannot edit someone else's photos. The webmasters can do that. The delete checkbox doesn't work unless you are the webmaster. If you feel a photo needs to be deleted, contact one of the webmasters: pfbranco or danielblues. The most common reason for a photo to disappear is if you edit it using the edit button ( ) -- and you try to upload a replacement photo. This doesn't work as expected and will delete the existing photo. Any kind of camera will do, but a digital camera makes it easy. Zoom is not important for car pics. With a non-zoom camera, just walk up closer to the car or part! In fact, zoom has significant disadvantages, the lenses will generally be slower meaning you must use either flash or a tripod to in many situations to avoid getting blurry pics. For car pics, an auto-focus non-zoom camera will be just fine. If possible, get a camera with a 'fast' lens (2.8f or smaller) so that you can take decent pics in low light. Zoom cameras usually have 'slow' lenses (3.4f or larger and getting larger the more zoom you dial in). Cellphone cameras often have good low-light performance, but blurry pictures (no autofocus, most all still use cheap fixed-focus as of March 2006). Find the distance it takes a picture most clearly at (probably around 4-6 feet), and try to use that. If you are thinking about buying a cellphone with a camera just for this purpose, beware. Most take slightly blurry pictures, many don't have a way to download the photos to your PC, and some charge a lot for each photo you "send" to yourself! I use a Sony Cybershot 2-megapixel. What? Isn't 2-megapixel too small? Note that 2 MP (1632 x 1224) is waaay too big for general web site use, but will do fine after resizing the picture smaller. Sonys have excellent autofocus (for sharp, clear pictures) and are reasonably priced. Any Sony or any Canon is a good camera, I hear. Many other brands are good too, but some models from name-brand companies take awful pictures. Check out the reviews. If you have a film-camera, take selected prints over to a friend's house and have him "scan" them into digital photos for you. Or buy a $50 flatbed scanner. Even older cast-off second-hand scanners are just fine, as high-resolution is not needed for photos intended for email or for web pages. Even 150dpi is fine for scanning fullsize magazine pages and posting to the web in JPEG format.